Fees associated with filing patent applications in Romania as well as other patent fees are available in the fee calculator. The term for filing the patent application in Romania claiming priority is 12 months from the date of priority; however, it is possible to invoke priority within two months of the date of expiration of the priority date upon the payment of an extra fee. - information about the applicant. The official language of the Romanian patent application is Romanian. If the application is filed in a foreign language the translation into Romanian should be provided within two months upon the filing of an extra fee of 100 Euro. To confirm the priority right a copy of the priority application should be provided within 16 months from the date of priority. The translation thereof into Romanian is required. If the applicant of the Romanian patent application is not the inventor it is necessary to provide the assignment deed. Legalization or notarization is not required. It may be submitted within 3 months from te filing date. The official legalisation of a Power of Attorney is not required. It should be provided to the Romanian Patent Office simultaneously with filing or within four months from filing the Romanian patent application or within two months from the date on which the applicant is notified by OSIM with reference to the filing of the missing document, whichever expires later. The substantive examination may be requested for within 30 months from the date of filing of the patent application in Romania. There is also the possibility to request expedited examination, within 18 months from the date of filing. The grant fee should be paid within four months from issuance of a decision to grant a patent in Romania. Accumulated annuities should be paid within one year from the date of publication of the mention to grant a patent. -the invention being displayed at an official or officially recognised international exhibition. For foreign patent applicants, it is necessary to perform the patent prosecution in Romania through an agent, a registered Romanian patent attorney. 1. Online Search databases: Romanian Patents, European Patents (EPO). 2. 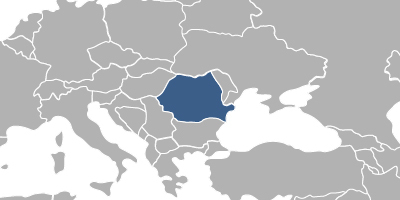 The patent protection in Romania may also be obtained via European Patent and its further validation in Romania.